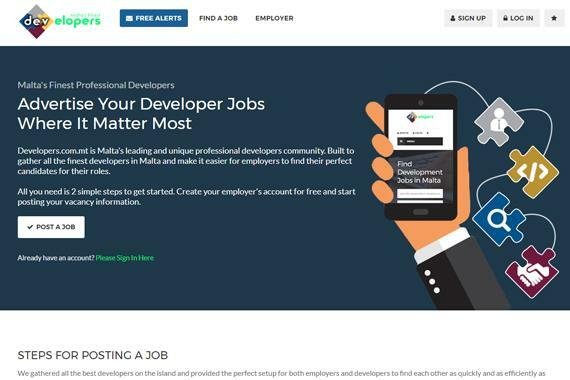 developers.com.mt is a dedicated online community for web and software developers to facilitate the recruitment process between the professional developer and recruitment agencies together with employers. 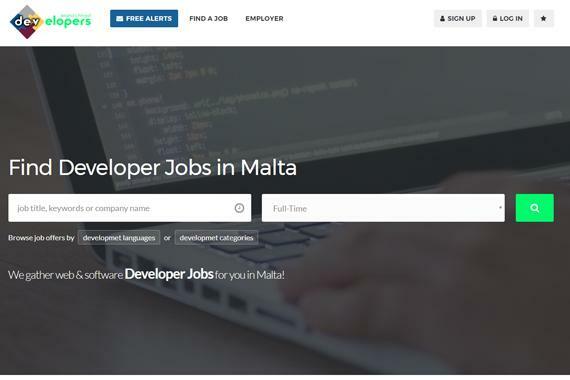 It's a platform which offers all facilities to both employer and candidate in searching, applying and posting of web and software developer jobs in Malta respectively. Management for profile, personal Skills, Experience & Education. Multiple job listing per account. One easy payment per job listing. Accepts Paypal and other international online payment cards. The website features a very easy to use interface which is responsive and easy to use on portable devices. 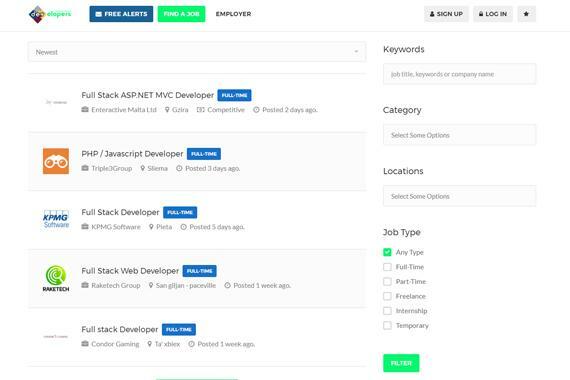 The job search was designed from a developer point of view, making available only those search criteria which are the most important for each and every developer to search with. ExcitableWeb was also entrusted to give the brand that look to really make it distinctive on what it portraits. The color scheme selected together with the logo, gives developers.com.mt that fresh and revitalising feeling of achievement and success yet enhancing it with that professional look. The content itself features all the information needed about the service being offered together with a live chat support system to employers who might need assistance in posting their job listing online.